So you have heard a lot about chatbot, but don’t know how to get started with? Though there is a lot of chatbot platforms, it becomes tough to make a choice. Well, at times the noise makes it difficult to listen to the right thing. If this holds right for you, you are at the right place. In next 5 minutes, you will have all the resources and, most importantly, the concept at your disposal that is required to build a chatbot. What your customers want or expect from you? If you already have a website or app, probably, you can answer it. So, how does your customer engage with you, - via email, chat, phone, online form, social media, forum, and so on. What actions did they perform, how do they enter your sales channel and what kind of expectations they have for your sales, and later from your customer service departments? It would be hard to know everything in go, so it’s better to sit with your departments and make a list of the goals of your customers. When the designer knows about the goals, he or she can design the conversation with the chatbot in a better way. 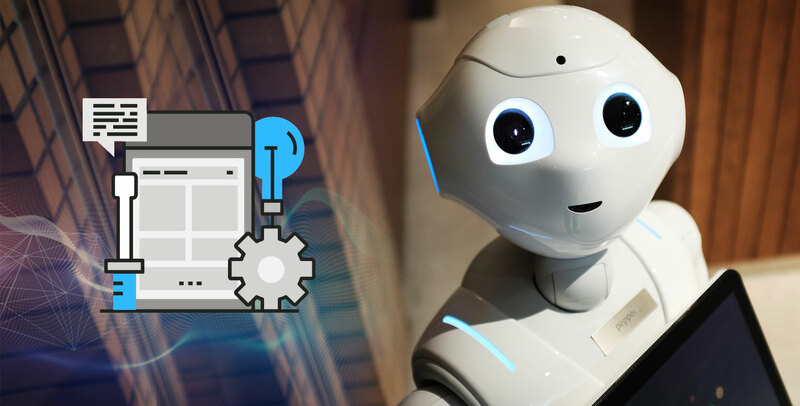 “How to design a conversation with chatbots?” Well, this is a significant stage that decides the quality of user-engagement, your website can deliver. Coming to the point, we can categorize the chatbot interactions as structured and unstructured interactions. Structured interaction? This is something that is already known to you. You know what your customers would ask and, hence, can design it easily - it’s just like an FAQ section of your app or website. This information would normally be linked to your menus, services/products or other choices, contact information and much more. The unstructured conversation flow includes freestyle plain text. It’s hard to predict what queries would emerge, so it’s just like an extempore speech competition for your chatbot. How would your chatbot know it? Well, here comes the role of AI. The AI decodes the context of the communication based on NLP analysis. Now, the same NLP will provide a voice to your chatbot application. While developing the script for messages, it is important to keep the conversation topics close to the purpose served by the chatbot. The designer has to simplify the conversational user interface. A perfect balance has to be achieved between close-ended and open-ended conversation to keep the flow natural, precise and task-oriented. So you want to have hands-on experience? Thanks to the chatbot builder platforms like Chatfuel, Botsify and so on, it’s no more a dream job. Though you it’s not possible to create AI or NLP-enabled chatbot that can deal with unstructured data, you can create simple chatbot conversation and upload that to the cloud platform of the vendor to make it serve basic purposes. These frameworks are packed with drag and drop template to create bots. To create chatbot with code-based frameworks like Wit.ai, API.ai, Microsoft bot, to name a few, you need specialist chatbot developers having an understanding of programming languages, machine learning, and AI. Such a chatbot can solve complicated purposes and serve customers better decoding their unstructured conversation. It has a database to store-data, and it can generate analytics and incorporate A.I. So chatbot can be general-purpose chatbot and inclusive ones. Understanding the type of work complexity you want to solve and insights you want to penetrate, you can make the right choice. However, the later, choice might demand hands-on working gloves with an experienced AI chatbot developer.